Ivy and Tristan are meant to be together. Both stunningly attractive, brilliantly talented and very much in love, they think their happiness will last forever. When a terrible car accident shatters their world, killing Tristan and injuring Ivy, she must face life alone - or so she thinks. 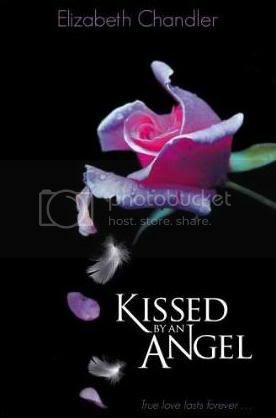 However, Tristan is watching over her as her guardian angel - so close she can feel his touch and hear his voice. And no one needs a guardian angel more than Ivy, because someone is trying to kill her. But if Tristan saves Ivy, his mission on earth will be finished, and he'll have to leave her behind. Will saving Ivy mean losing her forever? But if Bod leaves the graveyard, then he will come under attack from the man Jack—who has already killed Bod's family. . . .
Hush, Hush by Becca Fitzpatrick - signed. Obviously, I am a very happy girl! You get anything cool this week? Awesome! I look forward to reading them! Cheers! Great books this week! I loved Hush, Hush, hope you do to. Enjoy and Happy Reading! Andrea - Awesome! It's good to hear something positive about the author. I'm looking forward to reading KBAA. 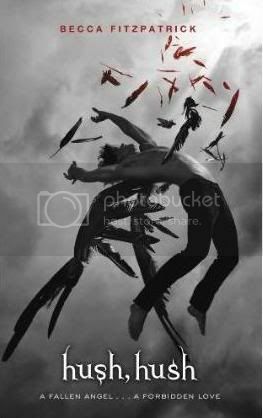 Casey - I've already read and reviewed Hush, Hush, it's awesome! Cheers! Great books. I like that cover of The Graveyard Books. Never seen it before. BTW I love you blog design - very pretty! Thank you! 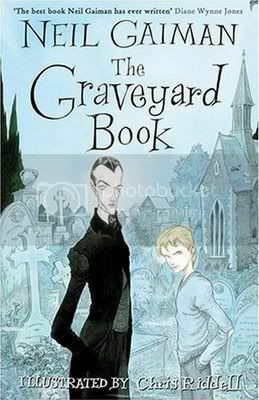 The Graveyard Book's cover is real cool, I like it a lot better than the US cover. Cheers about the comment on my blog design! Simply Fabulous Blogger Templates is where I got it from, they have so many awesome templates! Evermore and Hush,Hush are on my TBR list too. I'm just finishing Ballad by Maggie Stiefvater and really loving it. Have you read it? I haven't read Ballad - because I haven't read Lament :( I never seem to see then when shopping, and I don't have a great deal of money right now to buy them online. I'll just have to wait. Congratulations on winning a copy of Hush, Hush, I hope you enjoy it! I want to read Fairy Rebels - that cover is so incredible! Emily - I've already read it, so I know it's amazing. But I will enjoy re-reading it! :) Thank you! Sheila - It is pretty gorgeous! The UK cover for Knife (UK title) isn't as detailed, but I think it looks so beautiful. All blue and glowy. :) I love it! OHH Evermore - LOVED that - as I did Beautiful Creatures, I hope you like them, enjoy your reading week!